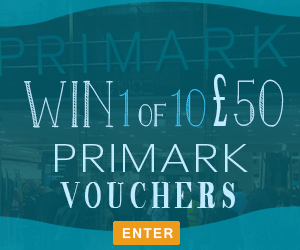 Enter for free today to win £150 Primark Vouchers. Primark offers a great range of items and at great value. Don’t miss out on the chance to win this fantastic competition from winnersville. Simply enter your details on the linked page for your chance to win!